Given the recent release of The Dragon Prince and the participation of several Avatar veterans with that project, I wonder if the original series’ head writer Aaron Ehasz and director Giancarlo Volpe will work on Netflix’s flesh-and-blood Avatar series as well. I have extremely mixed feelings about this announcement. Anybody who knows me is probably sick to death of hearing how great Avatar: The Last Airbender is; the original 61-episode series is beautiful, spiritual, emotional and extremely intelligent. It explored topics like genocide, cultural dissonance and diaspora gracefully and in a way viewers of all ages could understand. At the same time, it developed one of the most likable, varied casts of characters in any TV series. 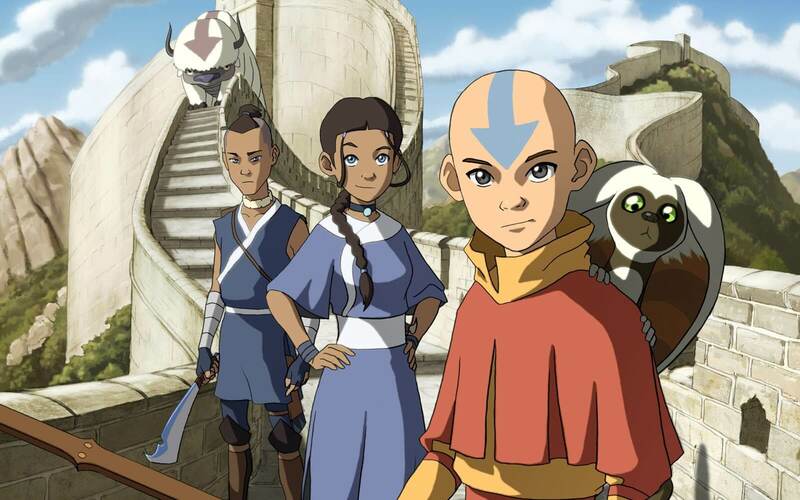 Personally, I consider Avatar to be the greatest American animated TV series of all time. All things considered, when I saw headlines about the Netflix live-action remake, my first thought was, “What do they hope to accomplish with this?” I have no fear that this show will be as bad as the Shyamalan movie, or even bad at all; I just don’t think it will be as good as the animated series. Not even close. It’s good that, unlike Shyamalan, the showrunners plan on being faithful to Avatar’s Asian-fantasy setting, and I anticipate watching it when it hits the streaming service. I just can’t help feeling a little skeptical, as nothing Avatar-related has touched the epic, thoughtful beauty of the original series.